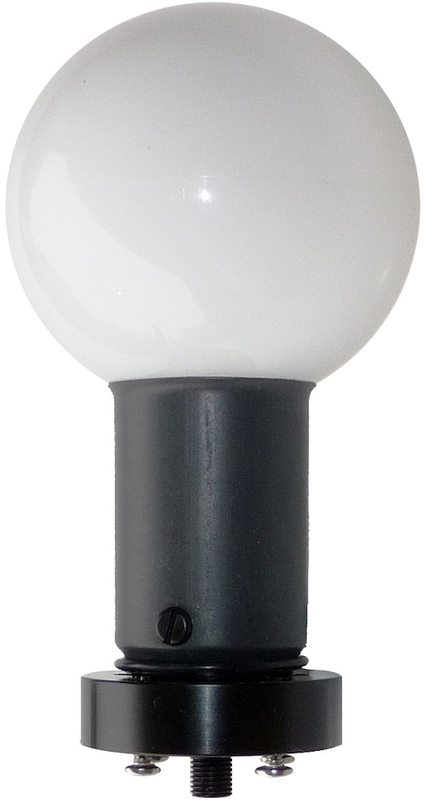 The Hobi spherical light collector gathers light arriving from almost all angles, and directs it to a user-supplied fiber-optic cable. This approximates the measurement of scalar irradiance (E0), the total irradiance incident on a point. Any fiber-optic cable with a standard SMA connector can be mated to the light collector. If installed with the provided o-ring, the fiber-optic connection is waterproof (if the fiber optic cable itself is also watertight). The angular response of the light collector is the same in air and in water, but the different indices of refraction of air and water affect the spectral response. We can provide calibration data for both media. For more details, see the User's Manual.